Jake E. Lee - Guitar Legend - Welcome To All That Shreds Magazine! If you’re thinking about iconic guitarists, think about Jake E. Lee. Lee is a famous guitar aficionado who has been imbued with the music business since early childhood. He is known for his amazing guitar work for Ozzy Osbourne from 1983 to 1987 and his work with the Red Dragon Cartel more recently. When you hear him, you’ll know that this master of music is in it to make beautiful sounds and he’s a natural. Lee was born on February 15, 1957, to a Welsh father and Japanese mother. They instilled an appreciation of music in him from an early age. His mother was a fan of classical and his father was a jazz fan. Together, this created a real passion for sound and music. Although he was geared towards the piano by his mother, it was clear that he had rock and roll deep in his veins. A curious thing called to him: his sister’s guitar! He picked up the guitar and immediately was hooked. It was The Who’s “No Time” that he first mastered and performed. Although piano wasn’t his chosen instrument, it did help him to understand the music-making process. He drew from his training on the piano to concentrate on the guitar and how to make it sing. In the end, he proudly developed into a self-trained rock-musician. He played in bands throughout high school and even at that young age was drawing attention due to his already-evident amazing guitar style. San Diego was the place where Lee started to get into professional guitar playing. He began in a band that called themselves “Teaser” but soon transitioned to a different band by the name of “Mickey Ratt.” Soon after they evolved into just “Ratt.” Lee was a formational part of the glam rock band. Soon he left though and joined “Rough Cutt,” a band that was produced by the legendary Ronnie James Dio. It took just a few listens for Dio to realize Lee’s expertise and he soon asked him to join his band, Dio. The gig with Dio led to being suggested to Ozzy Osbourne after Randy Rhoads passed away. Lee auditioned and got the gig! From 1982 Lee toured with Osbourne. Along with Bob Daisley, Lee began writing for “Bark at the Moon,” an album that would sell over 3-million copies in the states alone. Much of the music that Lee penned was used for “The Ultimate Sin,” by Osbourne. Jake moved on to form the band Badlands after his gig with Ozzy ended. Badlands was fronted by Ray Gillen. Ray died of AIDS-related complications in 1993. Jake tried a replacement singer. Things didn’t work out and went off the radar for a long time. In 2012, Jake made a cameo appearance in a Beggars and Thieves video. The response from the video on YouTube made Jake realize that he’s been missed after all of these years. This was the start of the collaboration for Red Dragon Cartel. 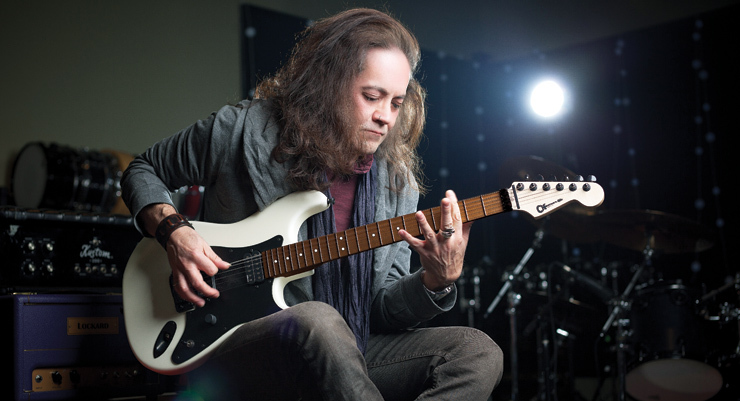 One thing you can rely on is that Jake E. Lee will perform and write fantastic music. He has honed his craft carefully throughout the years and is a true guitar legend. If you need proof, just listen to how he can play guitar. Not only will it keep your feet tapping, but you’ll realize that you are truly in the presence of guitar greatness.